Our Premier Roll Garage Doors make coming home a breeze. 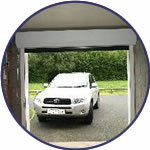 When you arrive, no longer will you have to park “just far enough away” from your old garage doors, to ensure you can prize them open and lever them up by hand – a nightmare in the rain! 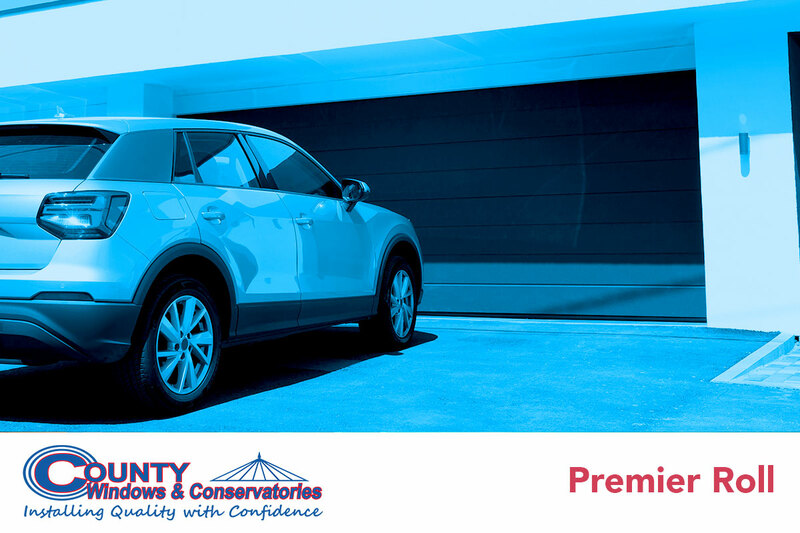 When you task County Windows & Conservatories with professionally installing a set of Premier Roll Garage Doors, you’ll be able to drive right up and at the push of a button on your in-car remote control, your doors will seamlessly open allowing you to drive right in. 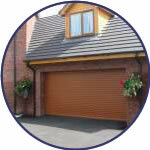 UK Manufactured Insulated 18mm interlocking Aluminium door sections, giving outstanding security. Choice of fifteen colours plus seven specialist woodgrain finishes available. Reinforced bottom section for additional strength, comes complete with a heavy duty bottom seal. Reinforced aluminum side track system fully colour coated complete with double brush seals. Colour coated reinforced head plate specially designed for rolling garage door systems. 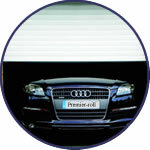 Optional full box cover concealing the rolling mechanism are available manufactured from powder-coated aluminum giving added safety. Somfy tubular motor drive unit complete with manual over-ride facility in case of power failure. 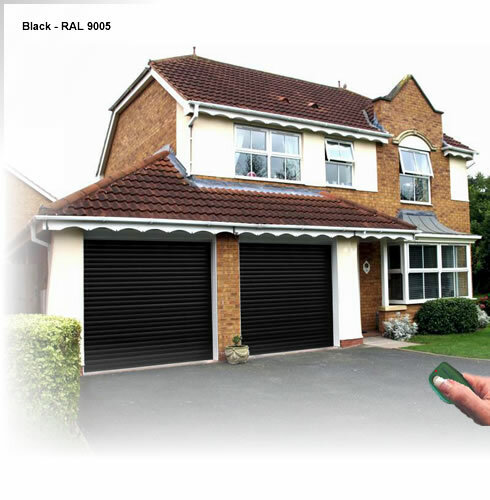 Remote receiver unit with high security rolling code Keelock system, on-built courtesy light unit. Remote receiver unit comes complete with integral garage operation switch. Choice of safety device, bottom seal contact strip or photo electric cell. 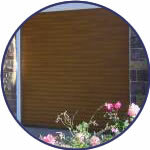 Security locking system ensuring the premier-roll is locked when in the closed position. 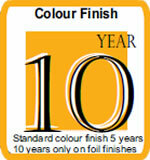 STANDARD COLOURS: Premier-roll comes with a choice of fifteen standard colours in a hard wearing baked enamel coating. OPTIONAL FOIL COLOUR FINISHES: Simulated textured finishes identical to the latest advancements in UPVC window manufacture. Utilizing the same Renolit foiling process, the textured finish is very hard wearing and comes with a limited 10 year guarantee. 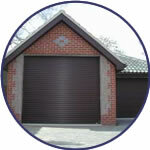 Drop us an email for more info on our range of Premier Roll made-to-measure Garage Doors.